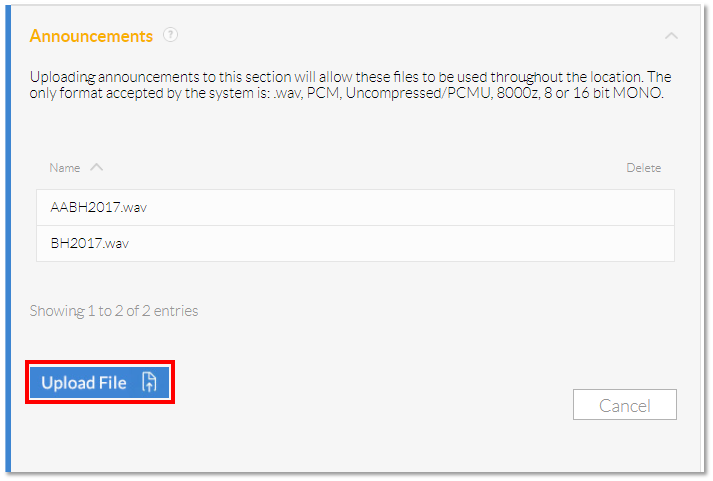 You can upload an existing file to the Nextiva system using the Announcement Repository. Once your announcement has been created and saved as a .wav file, you are welcome to upload it to your account by following the instructions below. Also, please note files larger than 2MB may not upload. NOTE: These files require specific formatting. For assistance formatting a file or uploading to the Announcement Repository, contact Nextiva Support. This is the only file format accepted within the Nextiva system. There are many audio file converters available for free online. You are also able to record custom greetings via the Nextiva phone system. For information, please click here. As an Administrator, you can access NextOS by clicking HERE. Log in to NextOS with your admin credentials. From the main dashboard, hover-over Locations and select Manage Locations (FIgure 1-1). Select the Pencil Icon to the right of the Location you wish to upload the Auto Attendant Greeting to (Figure 1-2). Scroll down to the Announcements section and click to expand the options. Here you can see your existing files and upload a new file by clicking the Upload File button (Figure 1-3). To delete a file, hover over the Trash can icon and click (Figure 1-4). NOTE: Maximum Repository capacity is 5MB per box. Users have their own Announcement Repositories as well for convenience. 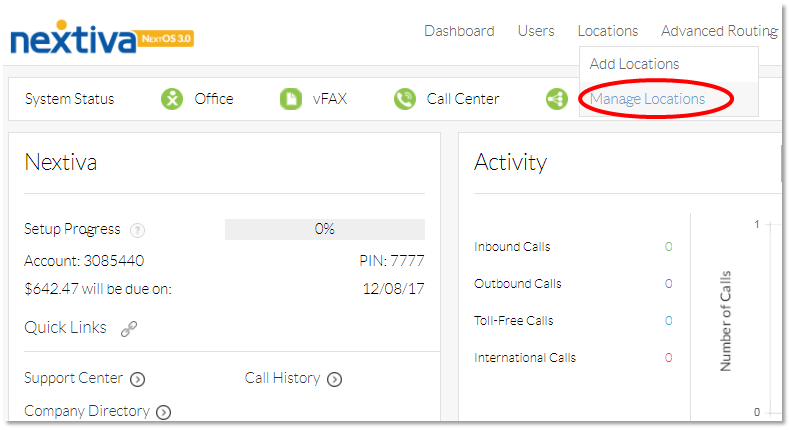 For instructions on how to upload an annoucement to a User's Voicemail, click HERE.